Few things help to stimulate your mind like a fresh environment. So, if your office still has those tired beige walls and threadbare floor tiles, it’s probably time to bring a splash of colour into the room that reflects the passion you have for your business. The best way to do that? You need to rejuvenate your office space. Your office space can directly affect how your employees think and feel when they’re at work. It’s why some of the world’s biggest companies have invested into transforming their office environments: Google is famous for producing offices with all sorts of quirky features, from rock-climbing walls to sleeping pods; Lego has an indoor slide and AirBnB’s offices are designed to look like homes from around the world. Investing into these spaces has helped employees of these companies generate bigger and brighter ideas than the competition, all the while raising their happiness and boosting retention. Now, we’re not saying you need to throw in a ball pit and an indoor fort, but if you see the value in updating your office space, you can start with a few simple changes. By changing up your environment, you’ll help to reinforce your company vision and equip your employees with the mental stimuli they need to go from good to great. It can be difficult to encourage teamwork when staff in different departments aren’t in regular contact with one another. Help connect your employees by bridging those gaps physically with dynamic spaces. Dynamic spaces can be defined as environments that are constantly changing to suit the needs of those using it. 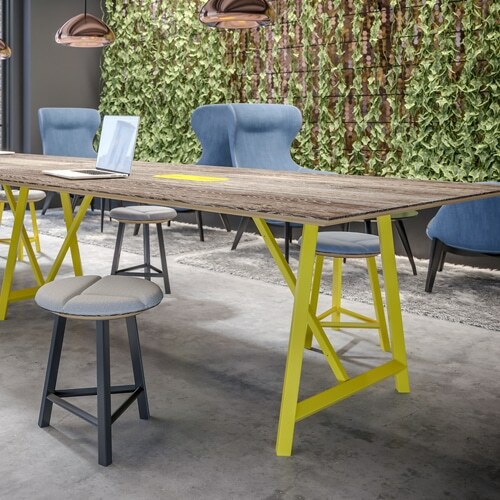 Moveable furniture – Portable chairs and desks make hot-desking so easy that staff won’t have an excuse not to spend some time sitting with a different crowd. Meeting pods – Adding small meeting pods to your office help staff have shorter, more informal catch-ups on a regular basis, and leave other rooms free for meetings with clients or senior management. Adjustable-height desks – Employees can keep energised by standing at their desks when they feel the need to stretch their legs. Plant stands – Plant stands bring flora indoors without taking up heaps of space. Keeping the room full of oxygen by using plants is a natural way to keep you and your staff alert and productive. Keep the blinds open – Natural lighting keeps body-clocks ticking how they should, so employees don’t get sleepy during the day. Try keeping the blinds open whenever you can. Daylight lamps – When sunlight is sparse, try “daylight” lamps instead. These unique bulbs radiate light with a UV ratio similar to that of the sun to help counter the familiar fatigue of dark winter mornings. Infusing your office with some homestyle comforts is a practical way of helping your staff get a moment of downtime in their day. It gives them a place to calm their mind, think over their problems and find solutions to them, without frustration getting in the way. 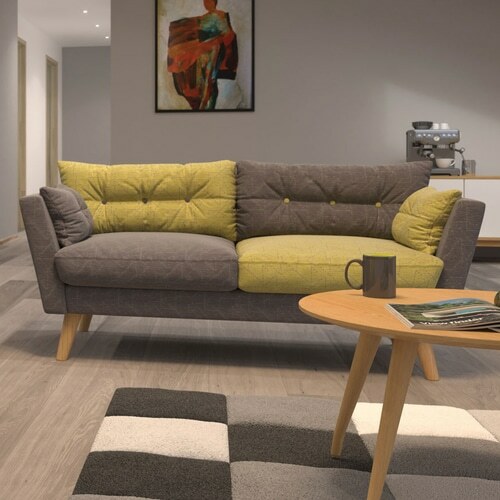 Office sofas – Having a few sofas around the office gives people somewhere they can sit to read an important document, or just to catch up with someone in another team over a coffee. Games – The ultimate crossover between “work” and “play” is to add a few fun activities in the office that employees can interact with on their breaks. Playing games allows employees to get their heads out of work while keeping their minds engaged and improving their ability to solve problems quickly. Desk decorations – Encourage your staff to make the space theirs by bringing in decorations for their desks. These could be family photos, movie posters, or quirky figurines; anything that helps unleash their personality is great for helping them feel more at home. 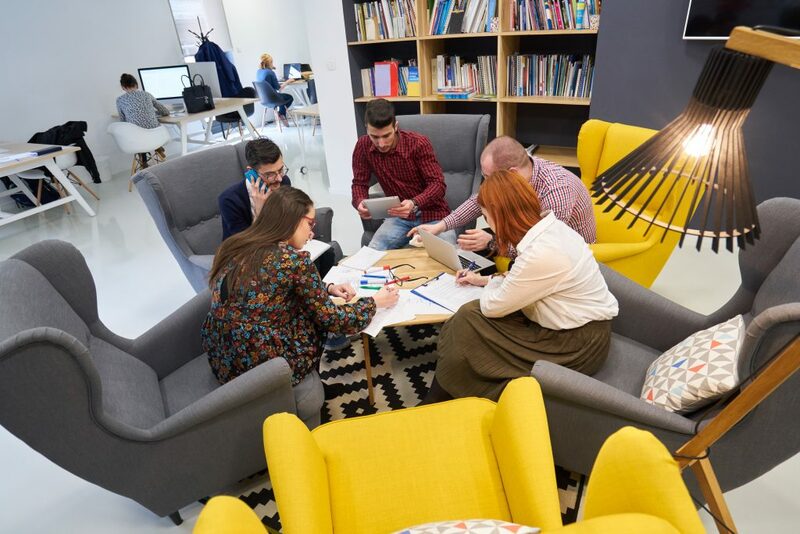 Rejuvenating your office this year is more than just a vanity project: it’s an essential way to re-engage your staff and redefine your business culture. And if you have clients visiting your office, it’s a great way for your ethos, visions and values to shine through: let them see that you’re a progressive, forward-thinking company. Got any more tips on how to revamp your office this year? Share them in the comments below.